Once again we demonstrate how much, er, planning we’ve put into this comic. Or rather, how long ago we wrote the scripts and only just got around to drawing them. EEK: I recently found out that Spoon apparently only draws Chicken when he’s on the crapper, or so he claims. An unexpected journey! Retweet and share! 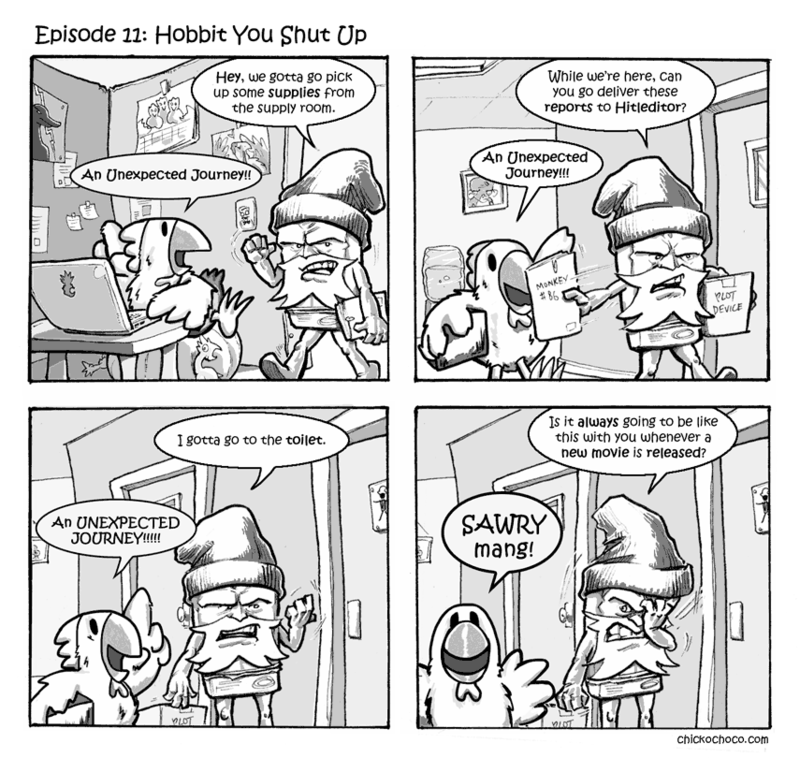 Spoon: Sorry (I mean, sawry) Chicken looks so terrifying in that last panel, because I, er, ran out of time?